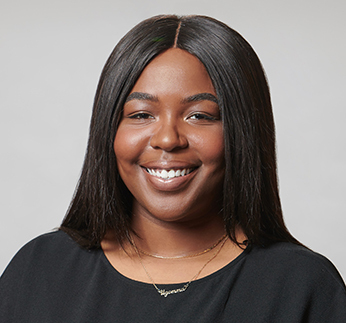 Jasmin Okeke serves as the GHHI staff accountant. In this role, she assists with month-end and year-end activities, creates & manages invoices, prepares accounts receivable reports, reconciles all asset accounts and acts as an overall support to all financial functions. A Baltimore County native, Jasmin went studied at University of Maryland College Park, receiving a Bachelor of Science in Accounting and a Bachelor of Arts in Communications. Prior to GHHI, Jasmin acquired internships and externships with Grant Thornton and PriceWaterhouse Cooper. Jasmin is a member of the National Association of Black Accountants and plans on becoming a CPA in the state of Maryland. Jasmin is passionate about mentoring and helping the community. She loves traveling, photography, and dancing.